Mel Hamilton took his first step by crossing a street. It was 1966, and Hamilton was on campus at the University of Wyoming. Coming in the opposite direction was a woman he passed every school day on his way to class. And just like every other time, the woman walked to the other side of the street when she saw him. But this time, Hamilton crossed, too. Soon, they were face to face. Hamilton asked the woman if she was trying to avoid him, and if so, why. She apologized, saying she had never talked to a black person. "That boggled my mind," Hamilton said. As they talked, Hamilton realized that the woman knew nothing about his race other than what she'd seen in the media, which was usually negative. He decided that at every opportunity, he would "talk about race and try to desensitize racial issues." "That was the very first day that I realized that I had a job to do," Hamilton said. So in 2005, when an invitation came from the LDS institute in Laramie to speak on a controversial racial issue, Hamilton accepted. It was a seemingly volatile arrangement, considering that Hamilton was one of 14 Wyoming football players thrown off the team in 1969 for deciding to wear black armbands in a game against BYU to protest The Church of Jesus Christ of Latter-day Saints. The "Black 14" was a story stoked by the often divisive issues of race, religion and sport -- and Hamilton was in the middle of it. But when it comes to the LDS Church, Hamilton is also part of a story about understanding. He is adamant in his position but holds no animosity. He counts Mormons among his friends. 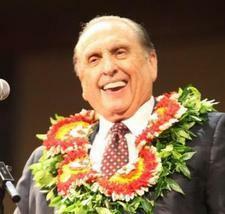 His oldest son is now a member of the LDS Church. And when he stood in front of a group of students -- some LDS, some not -- to discuss the Black 14, he encouraged them to "start the dialogue toward healing."